Morocco is quickly becoming the best destination for surfing and kitesurfing holidays that you don’t know about. Morocco boasts 2400km of coast and some of the best waves and lagoons for surfing and kitesurfing. The conditions are good all around the year, with constant winds during the summer and bigger swells during the winter. The waves in the country are primarily right-hand side waves. The main areas to enjoy are Dahkla and Essaouira, but the north is just as inviting for surfing and kitesurfing. The main thing is to know where to go. The waves are heavy and strong, and there can be a few hidden currents. One of the most famous spots for surfing in Morocco is Tagazhout. However, the popularity works against it now and it gets pretty crowded with plenty of local and international surfers claiming territory and breaking unwritten rules. Even so, there are plenty of areas and plenty of waves waiting to be discovered. There are hundreds of secret spots to be explored, so don’t worry so much about finding some as long as you are with a professional who knows the area anyway. It’s pretty easy to get lost, so avoid exploring by yourself or with someone that doesn’t know the area too well. Morocco has plenty of spots dotted along the coast with a lot of great breaks that it wouldn’t be possible to detail them all. Watch out for currents and stick with someone who has experience and knows the area. There are plenty of spots from Tangier to Dakhla. There are plenty of minute-long tubes and right-hand side waves just waiting for you. 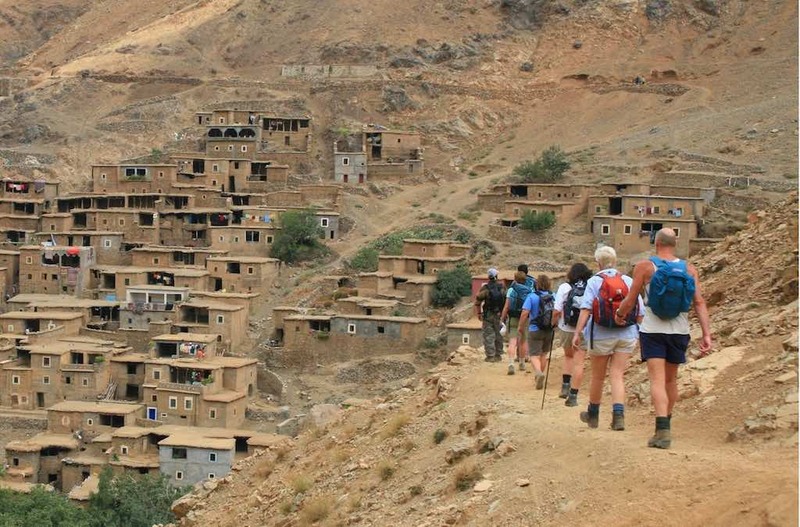 All in all local knowledge is the key to surviving in Morocco. It’s difficult to find food and get directions without someone who understands the area. 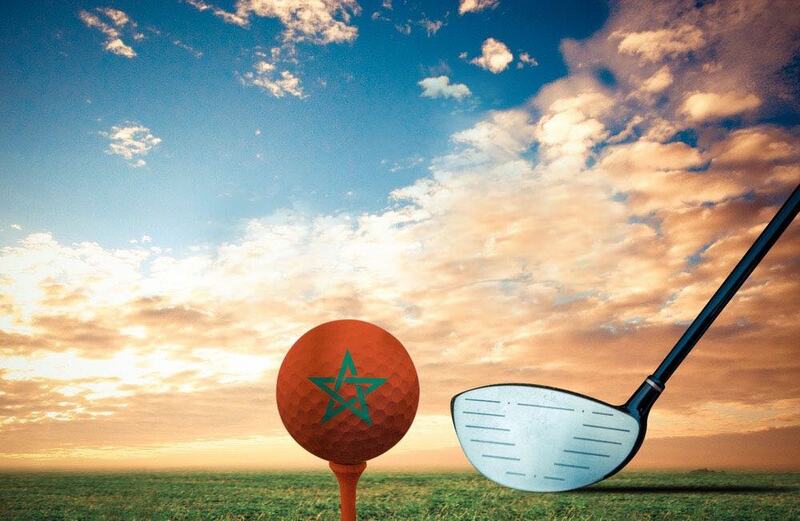 The wind in Morocco primarily blows from the northeast with fresh cold winds and currents. It’s recommended that you wear a wetsuit no matter the time of year as the Atlantic gets pretty cold. If you go down south to near the Mauritanian border you might be able to get away with shorts in the summer. The two main spots are Essaouira and Dakhla. 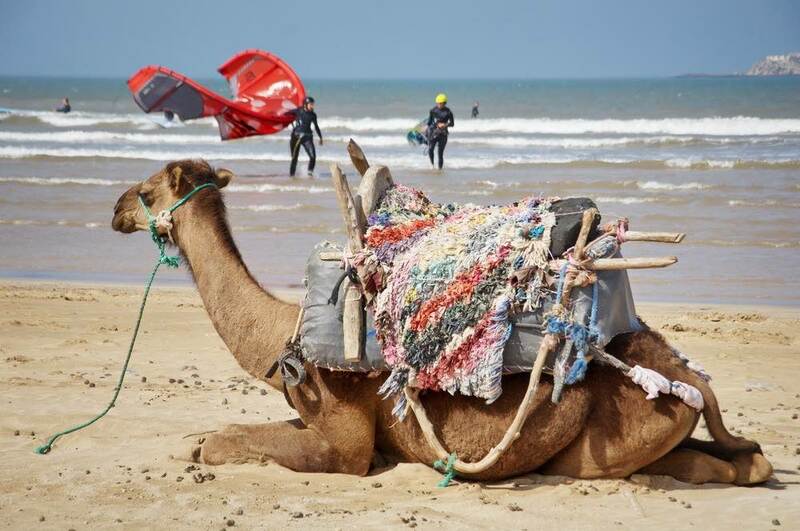 There are a number of great kitesurfing spots in Essaouira. There is Essaouira bay where you can enjoy cross shore waves and a heavy closeout depending on the size of the swell. The first 100m or so is nice and flat as this is where the waves roll out. If you’re looking for a wave spot, then head to Sidi Kaouki. Cross-offshore to offshore winds create an ideal spot for kitesurfing right-hand waves. The best way to enjoy it is doing a downwinder from the village, but you should only attempt this with a professional by your side. 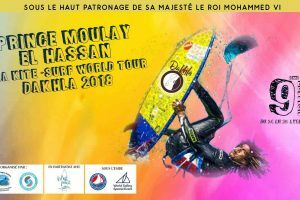 Moulay Bouzerktoun is where you want to go for some big waves. The area is primarily a windsurf spot and it’s an ideal place for having a coffee and enjoying the pro windsurfers doing big jumps and riding the waves. This is where the triple forward was performed and it’s quite a challenge to kitesurf here. The entrance is covered by flat reef stones so you should have some experience before trying to get in. The side to cross-offshore winds that blow here are more powerful than in other areas, so be careful!